The bike is fitted with the premium Selle Royal gel seat to provide you with the maximum comfort. Isn't comfortable for very tall people. If you are looking for a high-quality bike for daily trips around the town or even small countryside trips, you can hardly find a better bike than this Indigo folding bike! It's equipped with a 21-speed SHIMANO system, plus gears change very smoothly. 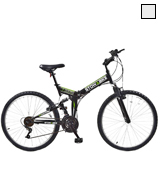 It's an excellent mountain bike, which will make you feel absolutely confident on any terrain. A great number of speeds will allow you to choose the most optimal one. 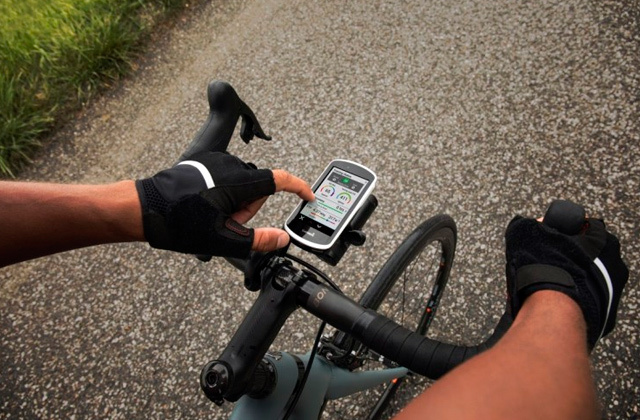 You can change the handlebar angle to adjust the optimal distance for yourself. You need to put some effort to fix a seat. 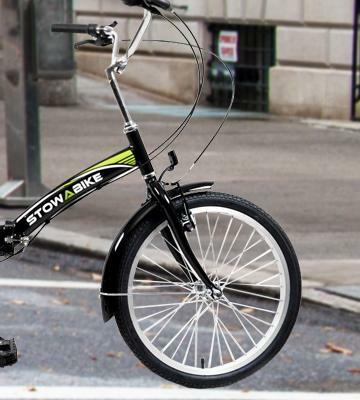 The Stowabike folding city bike is a great alternative to urban transport. Go shopping, commute to work or ride around the city without traffic jams! A patented double-lock latch mechanism makes folding up/down a piece of cake. The brakes might require adjustment. 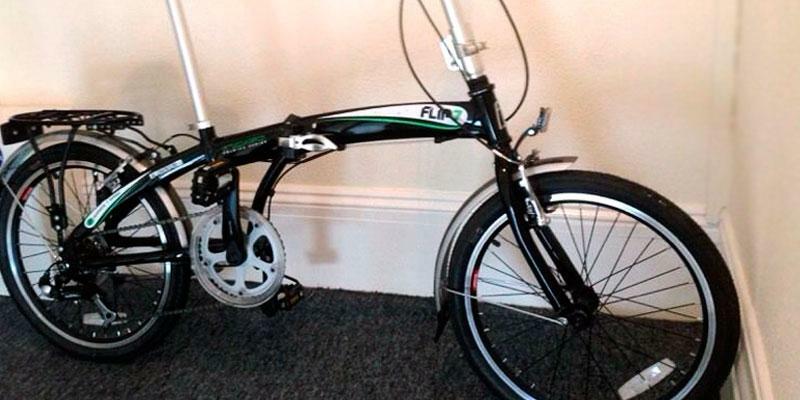 This is an incredibly lightweight bike even a child can handle! In addition, it's quite compact and, therefore, will be very convenient to carry and store. Large wheels provide comfortable off-road and cross-country manoeuvring. The bike has no mudguards. 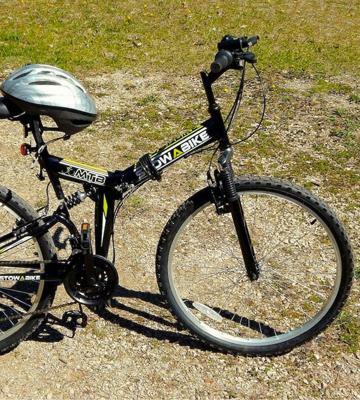 It's a fantastic mountain bike with full-sized wheels and dual suspension! Thus, you will feel no difference between it and a standard mountain bike. 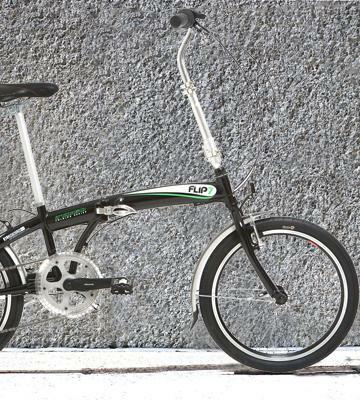 Every element, every small detail of the Indigo Flip 7 Folding Bike proves the bike will provide the maximum comfort! An easy to use mechanism with a special latch allows convenient folding of the aluminium bicycle frame wherever you need it! 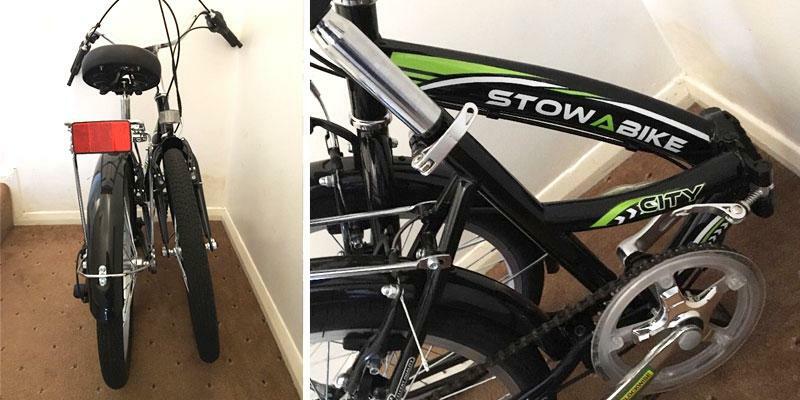 For example, if you want to store the bike while you're at work or take it with you in a car as a part of your journey, you can fold down the bike just in a matter of seconds! When folded, the Indigo Flip 7 Folding Bike is as compact as possible, since not only its frame but also pedals and a handlebar are foldable. Note that the bike comes fully assembled in a folded up state. As its frame is made of aluminium alloy, the total weight of the bicycle makes only 14.5 kg, so the bike is super easy to carry. The soft gel seat with a 400mm post will provide you with the ultimate comfort while riding, and owing to 7 various speeds, you will be able to choose the most optimal one. With such a workhorse, you can commute to work, ride around the city, go shopping, and even have a small journey to a countryside. Definitely, the Indigo Flip 7 Folding Bike is not the most compact folding bike on the market, but one of the most functional and reliable! 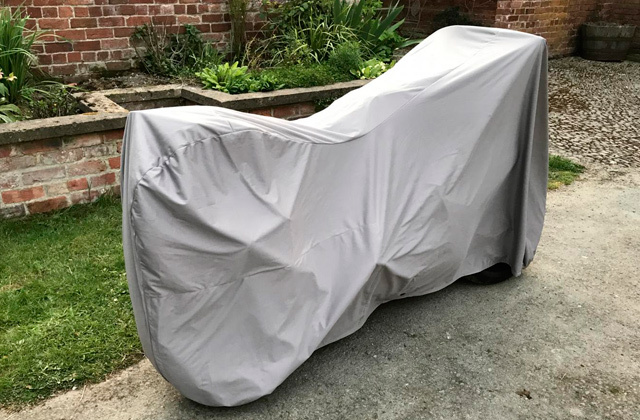 To provide your bike with all-weather protection, buy a bike cover. Smooth Ride on any Surface! 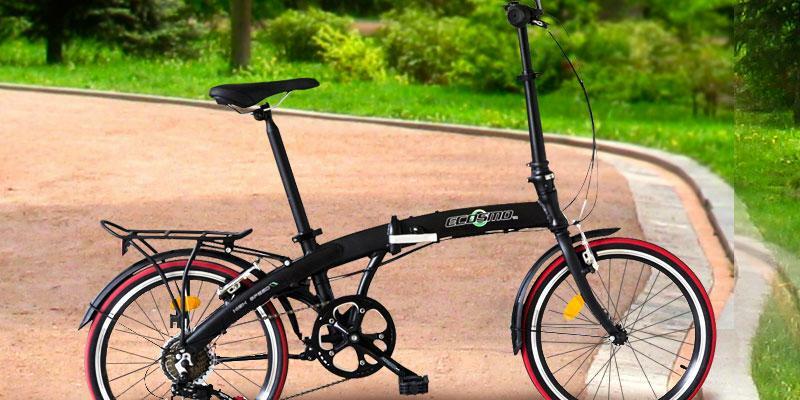 ПереводYou can be 100% sure that if you are lucky to own the ECOSMO Folding Mountain Bicycle Bike, you will be able to ride smoothly even on challenging roads! 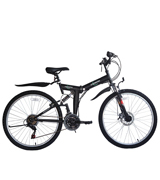 The bicycle features full suspension, front zoom suspension and rear alloy body suspension, thus, you will feel comfortable riding on uneven terrains, for example, in the forest or on rocky trails. Plus, the mudguards on the front and the rear wheels will give you an opportunity to ride on loose surfaces under any weather conditions. The frame of the bike is made of steel and, therefore, is very sturdy and durable to withstand heavy loads. 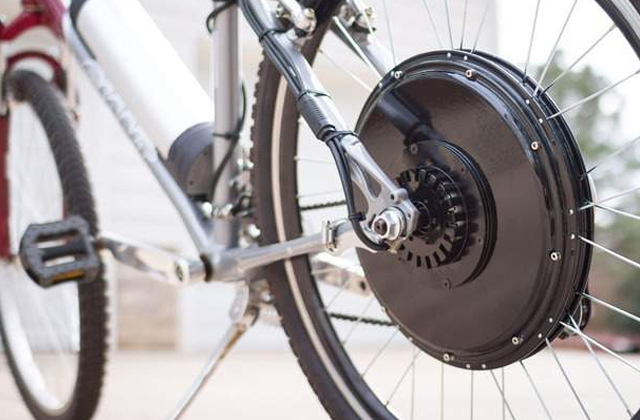 The bicycle boasts a 21-speed Shimano gear system that is pretty easy to operate. Choosing between low and high speeds, you'll be less tired while driving and the bike will be less subjected to the wear and tear. The bike comes almost assembled, you just need to fit front wheel, pedals, stem/bars and a seat. Then, it will take you about one minute to fold it up. 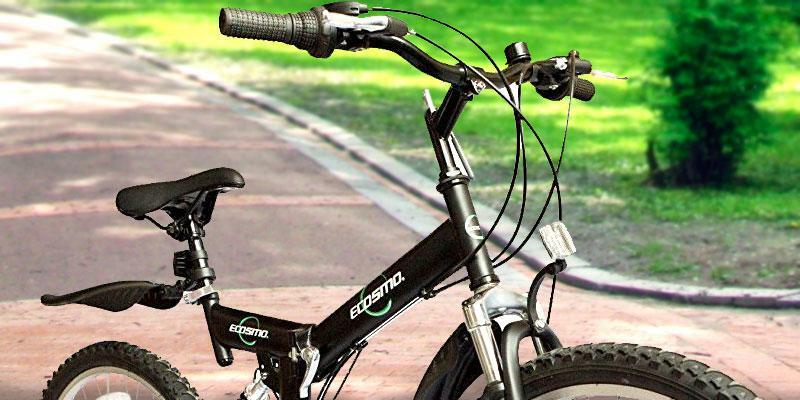 So, get this super versatile ECOSMO Folding Mountain Bicycle Bike to have adventurous mountain rides with your family! Additionally, we suggest you get a spare pair of mountain bike pedals. Say "Good Bye" to City Transport! As the name of this fantastic bike suggests, it is a perfect bike for riding around the city. The Stowabike Folding City V2 Compact Foldable Bike comes with all of the essentials at a very attractive price. Besides the folding design, the bike boasts a rear pannier rack where you can safely place your shopping bags or other stuff. The height of the seat can be conveniently adjusted to your height simply by hands. Plus, you can choose one of 6 speeds to climb the hills or ride on flats. It's noteworthy that although this is not the smallest bicycle on the market, it can be folded down pretty quickly, in around 20 seconds. All in all, this bike features all basic functions and can become an excellent alternative to urban transport. Commute to your work without traffic jams and never worry about the lack of parking places! The Ecosmo Lightweight Alloy Folding City Bike really stands apart from its rivals with its incredibly light weight, which makes only 11-12 kg! With the city life in mind, the manufacturer has equipped it with an aluminium frame that folds into a manageable size! Thus, the model is very handy both for adults and children! They will be able not only to carry it with ease but also fold down/up in a matter of minutes owing to the patented double lock clasp. A handlebar and seat can be adjusted to suit people with the height from 140 to 185 cm. 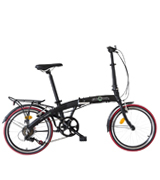 We couldn't skip the bicycle elegant design as the manufacturer has done its best to make it durable and stylish. For example, such element as a logo on the frame is painted to last longer than those cheap stickers, and the tyres boast red stripes that can add to your individual style. Note that the bike comes 95% assembled and you will only need to fix pedals, a handlebar and a seat. So, you are welcome to pedal your way to the city centre almost right after delivery! Did you know that more than 1.5 million bicycles are stolen each year? 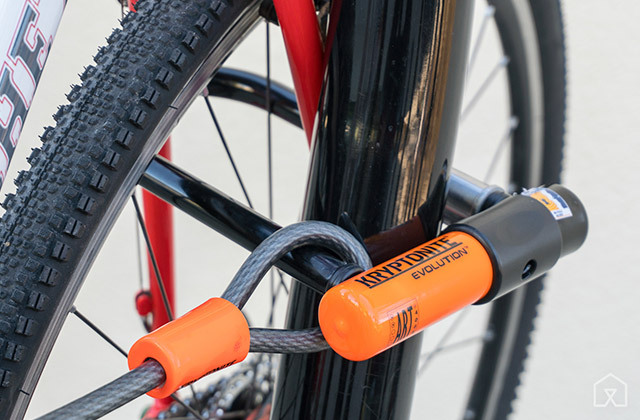 To secure your bike, we advise you to get a bike lock. 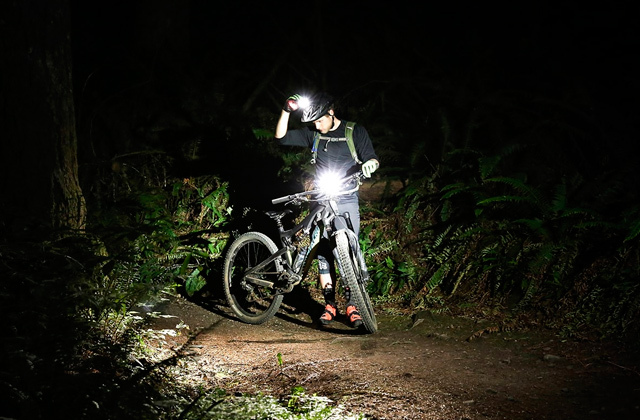 Those who dream about a high-quality mountain bike but don't want to spend a hefty sum of money for it should definitely pay attention to the Stowabike MTB V2 Folding Mountain Bike. It comes in two colour options, dark and light, so that everyone can choose the one to their liking. But its advantages don't end here! 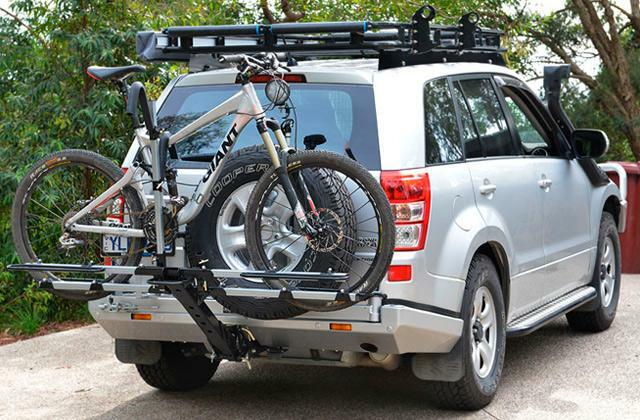 The dual suspension system (front zoom suspension and rear suspension) will reduce bumping to make your ride smoother. Thus, you will feel confident on any terrain, be it flat asphalt roads or muddy forest trails! 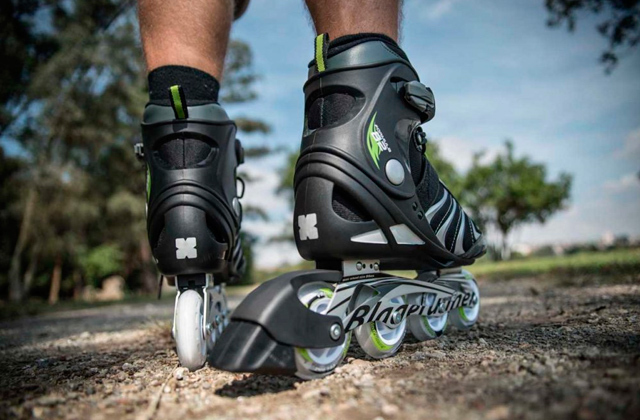 We would like to note that you can choose one of 18 speeds, depending on the surface you ride on. Despite the large size (a 26-inch frame and 26-inch wheels), the bike can be folded compactly for storage or transportation. Yet, if you don't want to fold it, you can purchase a bike rack to transport your bicycle to the mountains. 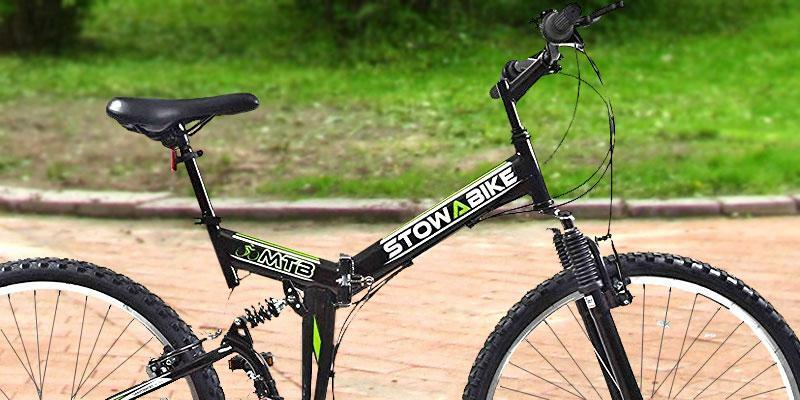 Enjoy scenic views and explore rocky trails with the Stowabike MTB V2 Folding Mountain Bike. Bicycle is an integral part of life for many people nowadays. Being specifically designed for city cycling, a folding bicycle is even more so. On contrary to ordinary bicycles, folding bikes are much more space-saving and lightweight. Once folded, it's easy to carry it along to the shops instead of leaving it locked outside or bring home. 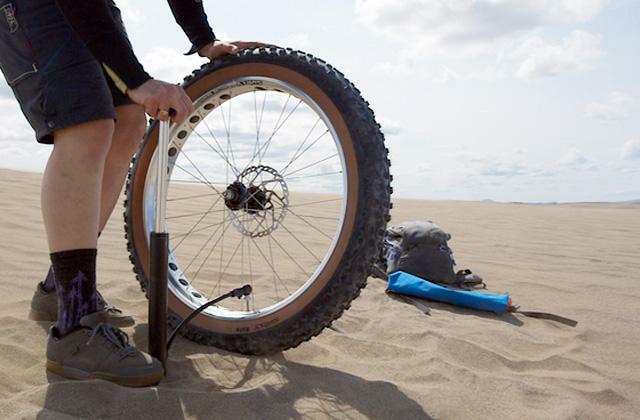 We highly recommend you to read our best bike pumps article if you want to keep the wheels of your bike always inflated properly. 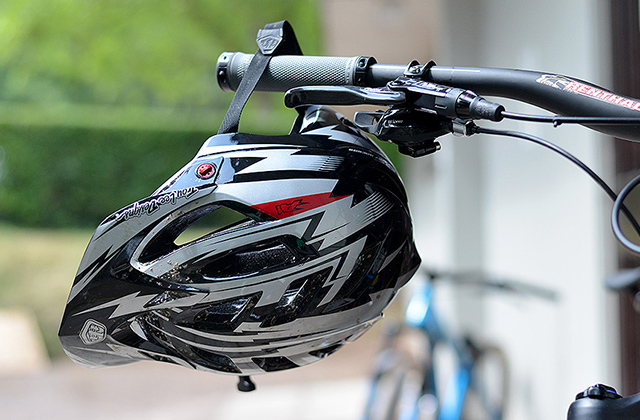 And, of course, if you are looking for a bike, you may also need a nice helmet. 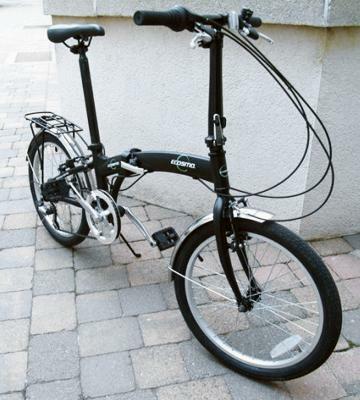 Size and design are the key aspects in choosing a folding bike. 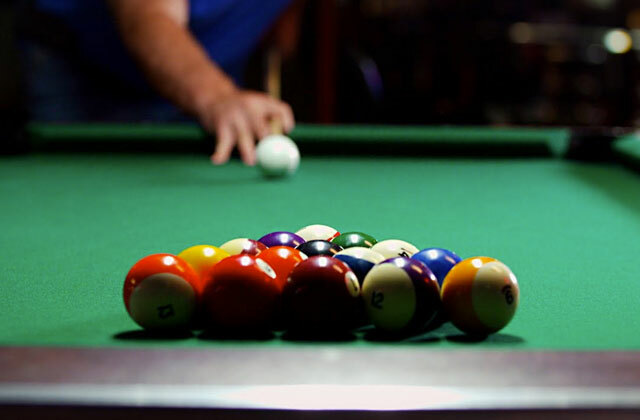 Its weight is also rather important because you will often carry it, and it won't be an easy task if it is too large or too heavy. To put it bluntly: a low weight increases bike's portability. Consider the type of the chosen bike too since the type is what mainly determines the size, weight and main functions of a bike. 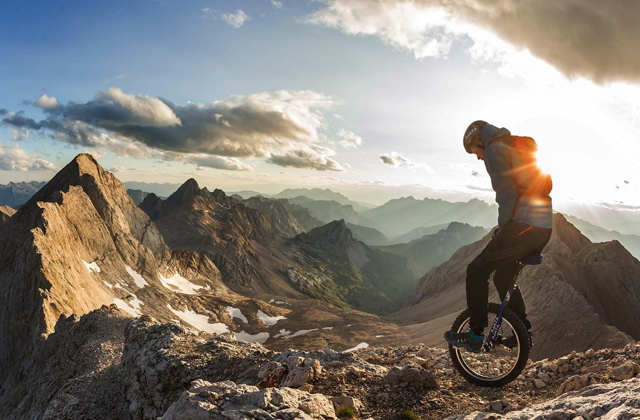 Mountain bikes are usually larger than road bikes, although this is understandable considering that mountain bikes are used primarily for off-road cycling and so, they have bigger wheels and suspension. Riding a bike will be significantly more comfortable if it's got a speed selection option. You may find a 7-speed bike, which is the optimal solution for nearly any situation, 24-speed bikes, which fit perfectly for cross-country areas and bikes without a speed selection at all which are designed mainly for relaxed cycling in parks and streets. The brakes installed on the bikes serve a different purpose too. As a rule, mountain bikes are fitted with disc brakes, which are known to be high resistant to rain and moisture. 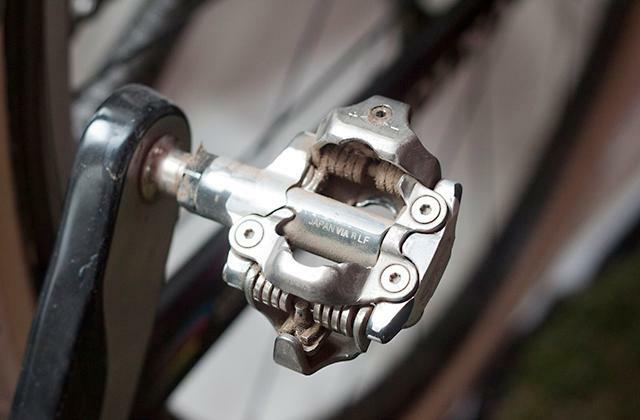 V-brakes, though, are considered more popular, simple to maintain and use. You will spend a lot of time on your bicycle, so various support accessories wouldn't go amiss. A bike with a pannier rack, mudguards and kickstand will be much more comfortable to use. 1. 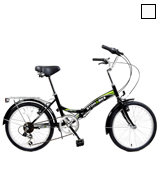 Your Guide to Buying a Folding Bike, eBay. September 9, 2016. 2. Matthew Nesbitt How to Choose the Right Folding Bike, ONEHOWTO. 3. How to Choose: Folding Bikes, DECATHLON. September 9, 2013. 4. Folding bicycle, Wikipedia. August 16, 2016. 5. 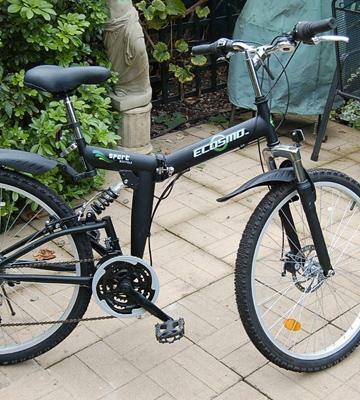 5 Factors to Look for When Buying a Folding Bike, eBay. January 20, 2016. 6. Wise Words - Folding Bikes, British Cycling. 7. 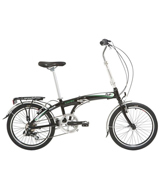 Kit Buchan What is the best folding bike on the market? The Guardian. April 9, 2015. 8. 10 Reasons Why a Foldable Bike Is the Best Commuter Bike, Icebike. June 10, 2015.